Two pioneers spreading the cinemagraph medium in their own countries are Ashraful Arefin and Daria Khoroshavina of Kitchen Ghosts. 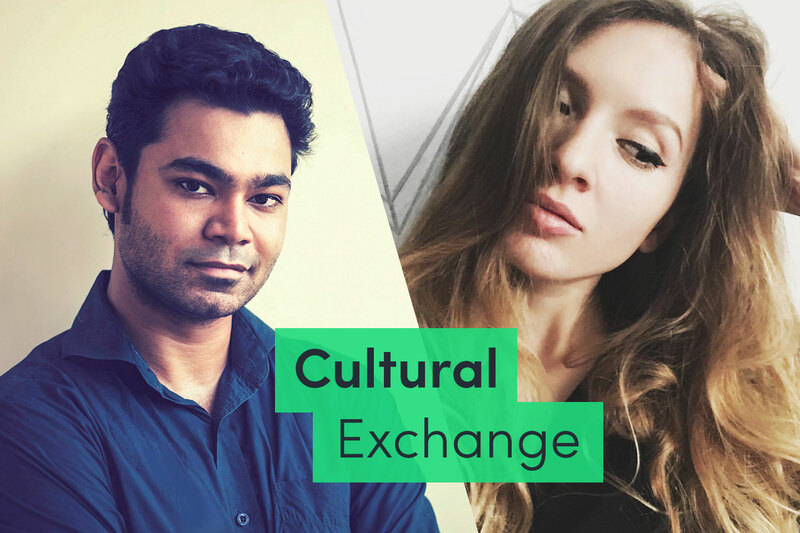 Read more about the development of cinemagraphs in Bangladesh and Russia and find out how their native cultures influence their work! gallereplay: What is the demand for cinemagraphs like in your home country? Ashraful: The cinemagraph medium is relatively new, and the market is still in its very early stages. However, a few brands in Bangladesh are already applying cinemagraphs to their social media campaigns and getting amazing responses. I believe that this will generate more use and demand in the long term. Daria: I feel like a pioneer, because not so many people are familiar with this medium in Russia yet. People always ask me what it’s called and what apps we use. But despite that, cinemagraphs are getting more and more popular. When we first started creating cinemagraphs for brands, we only had clients from the US and Europe. Now we’re starting to see more interest from Russian brands. gallereplay: How do you think the cinemagraph medium will develop in your own country? Daria: I hope brands will find more use for cinemagraphs in the future! There are so many use cases, like banners, exhibitions, restaurant menu screens, screensavers etc. And that’s only what comes to mind first, because you can really get creative with them. Ashraful: I think there’s big potential for cinemagraphs here in Bangladesh. A few local brands have used cinemagraphs and gotten amazing engagement on social media. Soon people (and more brands) will get the idea of cinemagraphs performing better than still images. This will ensure more interest in this medium. Daria: My studio kitchen! It’s the place where I feel most comfortable and creative, because I have everything I need to experiment with different styles! Ashraful: I am based in Dhaka, Bangladesh. I enjoy mostly working with still life objects and prefer to work inside my apartment or on my balcony. For shooting outdoors, I love Cox’s Bazar Beach. This place is outstanding with many different sceneries to create beautiful cinemagraphs. gallereplay: What local inspiration can we find in your cinemagraphs? Ashraful: I think the tropical weather and atmosphere of Bangladesh are very much presented in my cinemagraphs. Besides that, I also get my inspiration from the adorining Bengali lifestyle, for example the traditional food and drinks. Daria: I like to use local products, like huckleberries, sunberries, gooseberries, chanterelle mushrooms. We also like to show bits of Russian cuisine in our blog, like crepes, buckthorn tea, and traditional Russian borsch! gallereplay: Name two reasons why brands in your country should embrace cinemagraphs for storytelling? Daria: Cinemagraphs are catchy, fun and look pretty if done well. Brands in my country should use them to be different and to convey their message in the most beautiful and elegant way. Ashraful: Firstly because they can boost engagement and they have ability to grab people’s attention. Secondly, brands can stand out from the crowd by using something extraordinary and different from the traditional still images. For more of Ashraful’s and Kitchen Ghosts’ cinemagraphs, check out their gallereplay profiles!